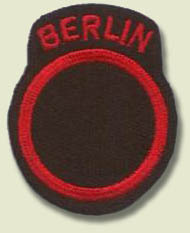 Patch of the British ground forces in Berlin. The red circle symbolizes the communist threat surrounding the city. It was introduced before 1950 and was worn on the left shoulder sleeve.